My amazingly talented older brother has opened up his motorcycle shop a few months ago. I have to say its crazy! He has done an incredible job get it all put together and they have taken off with a bang. I wanted to let anyone out there who has a motorcycle and needs or wants any kind of work done to head over to my brother Rick. He is the most honest person around and he really does some amazing work with everything. He has built several of his own bikes from the ground up and many more for others! I added his shops website to my link list. 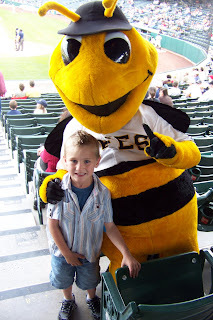 Last night Ryan and I took Devlin to a Bees game! He had fun following the Bee around, Playing on the playground, riding the train and eating treats but he didn't have a good time at all watching the game. Ryan got to sit and watch the game in silence while I kept Devlin busy the whole time. I wanted to announce we are moving! We signed the papers to put our house up for sale yesterday. I'm so nervous to move within the short amount of time we have lived in our cute townhouse but I think its the right thing to do for us at this time. We are very excited to move closer to our jobs! Cutting out traffic everyday is going to be heaven. I really hate scheduling my classes around traffic along with everything else we do. We have done some minor things to fix up our place over the past year and a half so we hope to come out ahead when we sell. I'm so excited for this new adventure and we see where we end up living. Every year on Memorial Day weekend we head down south to the cabin to open it up for the summer. Its in Cedar breaks near Brian Head. This year we had a not so good surprise! There was still snow. It snowed on us everyday we were there. It was extremely cold but we made the best of it and actually had an awesome time! Ryan's parents, Randy and Becky and his sister and brother in law, Shaun and Brooke and of course Addison and Harley all came up. We were lazy a lot and I started reading this new book called Twilight by Stephenie Meyer which I am loving right now. We played paint ball- my husband hit me all of the 4 times I was hit. The back of my head, my leg, my wrist (that one made me cry it hurt so bad!) and my eye (okay I had my face mask on so it didn't even hurt but it made us all laugh). Harley loves to be out doors. She followers her nose where ever it may take her but she never goes to far. She De-barks any log or stick she can get her paws on. Little Addison was a burrito the whole time to make sure she stayed warm. She is such a funny little baby. We had such a great time- less than a month till we go back! She wore an itsy bitsy tiny winny yellow poka dot bikini! I am one of those weird people who thinks its cute to dress up their dog. Harely doesn't wear clothes all the time but she does have options of things to wear. She has to wear a coat in the winter because she hates being out there when its snowing in her eyes so we got her this big puffy red coat that has a hood to protect her. Now that its summer- I couldn't help but get her a fun cute bathing suit! We had to go to petsmart last night to get some new toys and I couldn't help but get this adorable swim suit. Harley has her own pool that she loves to play in so I thought it would be great for her to have this. Plus this summer while we are all playing on the boat, she can join right in with her swim suit. I have a feeling those toys will only last a few hours! My older sister was a Photographer before she passed away. She took some amazing pictures and my whole life I have loved to see the world through a camera. I am nor will I ever be as talented as my sister was but I just love to play around. The other day was so nice outside we had a lot of fun playing with Devlin and Harley. Devlin got a new water gun so Ryan couldn't help but play games where only Devlin got wet. 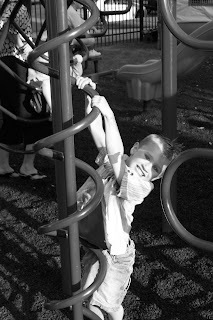 I cant believe how big he is getting and how fast he is growing up. Our little Harley is pretty cute too. She is such a great dog! Our weekend was full of going going! On Friday night we had a much needed date night. We went to eat at Rodizio Grill then went and saw -What happens in Vegas- which I recommend. I thought that movie was hilarious! On Saturday I got to spend the morning at the Race for the Cure downtown. What an amazing sight to see 17,000 people all fighting for the same thing. I was overwhelmed by what some of the people had written on their backs- "In memory of" or "In celebration of" It was all just so amazing to see the incredible people who have had to fight something so horrible and their awesome attitudes about it all. I was in a daze admiring all those people. It was great to be there with my Mom, Kristianne and Amy. After the race we had Mothers day brunch at Market street. In the afternoon Mallory and I went to Ryan's flag football game where sadly they lost :( We are doing an exercise class together so we just shopped the sugar house area until it was time for our class to start. 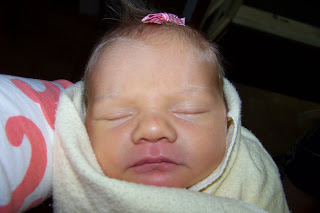 Later that night I went to a baby shower for my sister in law Ashlyn who just had the new little baby- Teagan Mae White. Teagan is Devlin's little sister. She looks exactly like Devlin did only Devlin had black hair! 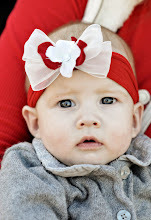 She is such a beautiful baby. Sunday was Mothers Day! Although I am a mom to my Harley. We really didn't celebrate for me. We went and saw Ryans grand parents and his Mom. We had dinner at her house and had a wonderful time just being with them. We then went to my Moms house and I got to talk to Jonathan! - To my Mom: I wonder how my mom did it! Starting her family so very young and going through everything she has is unbelievable to me. She raised 10 children- And one of them being me! Oh someone should get a metal just for putting up with all the things I put people through in my life! I want to apologise for being Me! haha... My mom has just always been such a strong person. She has worked so hard and never given up on any of us. I love my Mom with all my heart and cant believe I'm lucky enough to have her as my Mom. It was so great to talk to Jonathan yesterday. It was horrible to say goodbye though. My little brother has always been more of my big brother. We have been through everything together and we always stick by each other. Its been so hard since he has been gone because he is one of my best friends. I tell him everything and he always knows what to say to make me feel better. I am so proud he is doing something he believes in and has grown up to be the person he has become. Its really an honor for someone to know him. I told him to tell me a story in Spanish (I know I'm a dork but I think its amazing when people speak another language- it fascinates me) It was so cool to hear him speak Spanish like a pro! I didn't have any idea what he said but it sounded really interesting. I sure love Mothers. I have always said about "parents" that just because biologically you are a parent doesn't make you a Mom or a Dad. Those are titles that need to be earned. Anyone can have a child but it takes some amazing, dedicated people to be a Mother or Father. I have quite a few Mothers! There have been so many great people who helped show me the way through my life and have pulled me along when I don't think I can go anymore. Thank you to every Mother out there! You are all incredible for doing what you have done and that's being a Mom! I just hope I can someday earn my role as a Mother to my children. Its such an honor! I love this little quote my wonderful Auntie sent me, I am the first one to stand up and say I can really use this advice. I have always been the type of person my whole life who lives for tomorrow not today! AHH... What a mistake it can be to live like that. I miss out on some amazing things because I wait and plan and wait for tomorrow. Once tomorrow comes, I have already planned on when it ends and when the next thing begins instead of enjoying right now. I have put this up at my desk and will read it everyday and hope to start getting better! 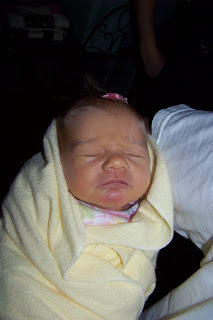 10 YEARS AGO: Well this will really show how young I am but 10 years ago I was getting ready for my big 11th birthday! Living in SLC in a crazy life. No need to go into detail but one of the worst times in my life was sadly my childhood. 5 YEARS AGO: Time couldn't go by slower- getting ready to drive and couldn't wait! My Mom, little bro Jonathan and I moved to WVC! I was getting ready for my junior year in high school and life was going pretty great. One month from now (5 years ago) I was getting ready to take on a huge life changing experience by helping raise my nephew Devlin. He was born June 16. 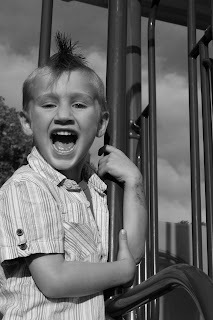 I cant believe he will be turning 5 next month. He has been one of the best things in my life and although he is only 4- he is my best friend and has got me though some of the worst times in my life. He is so adorable, smart, funny, talented and has so much potential. I pray that he grows up and is one of the happiest people in this world and has everyone of his little dreams come true. I hope he doesn't have to grow up so fast like so many kids have to in this world now and he can live his childhood. 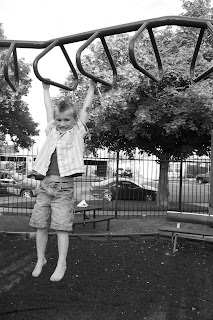 He in many ways is more of an adult than I am and thankfully in most ways still a bouncy little boy. I couldn't imagine my life without him. 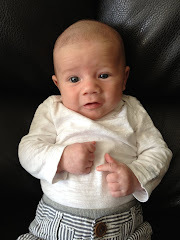 What an incredible little person he is! 5 MONTHS AGO: It was my favorite time of the year- Getting ready for Christmas. I was still getting settled in my new position at work and busy planning our trip to Korea in April. We had a great Christmas this year where Santa sure spoiled not only Ryan but Harley and myself! My brothers new Motorcycle shop had just opened which started off with an amazing bang! My little niece in Korea was born. My adorable Momi was busy planning her wedding and getting married to Jesse! 5 THINGS ON MY TO-DO LIST: Start feeling better (I have been horribly sick for a few weeks now and it got out of control the last few days), Grocery shop (My poor husband is going hungry because of the lack of food in my house), Get Mothers day events figured out and arranged (I love you Momi), Start painting our stairs and halls, Get our computer fixed before my online class starts next week- ahhh! 5 SNACKS I ENJOY: Sorbet, Bananas, These little cakes from Korea (mmm I miss them), A big glass of Milk, Beef Jerky. Okay some of these are not "snacks" but these are the things I eat all the time and cant get enough of! 2- Vacation like there is no tomorrow- hello weekend getaways to the Bahamas! 3- Make sure my family is taken care of financially- Put some funds away for my nieces and nephews for whatever their dreams my hold in the future. 4- Open my own children/teen home for abused children- A place with real people who know what they are going through with real love the show to them every day.